I made my first quilt in late 2003. It was a pretty horrible experience and I swore I would never make another. Of course since then I’ve made dozens and helped with dozens of others. 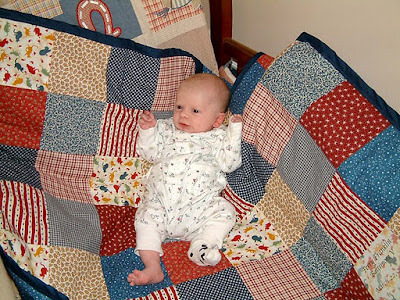 Four of the first five quilts I made were baby quilts. The last three grandbabies definitely got the benefit of better skills, but I love them all. The quilts you see here are only the ones for the grandbabies. I have made many more. 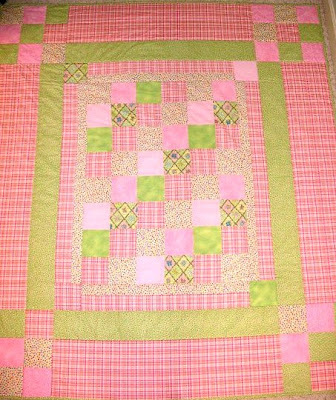 My FIRST quilt for granddaughter born in December 2003. 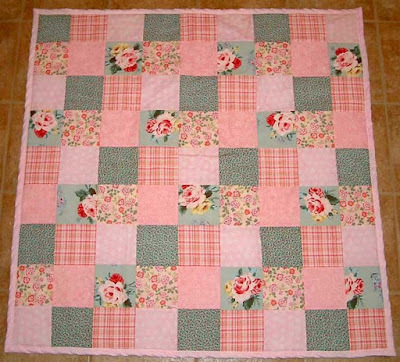 “Baby quilt” made in 2005 for my oldest granddaughter. She was 7. 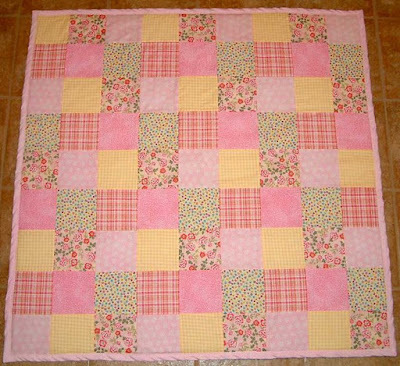 “Baby quilt” made in 2005 for another granddaughter. She was 5. Made in 2005 for the little guy you see there. Isn’t he cute? Made in 2007 for another grandson. Made in 2010 for the 6th grandchild. Made in 2011 for the 7th grandchild.